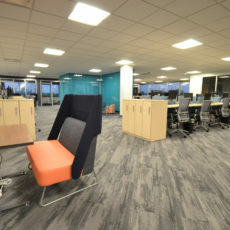 Positioning for the future: A time-sensitive office transformation. 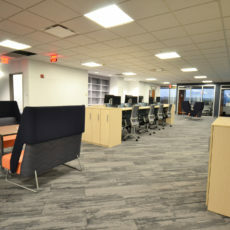 This large professional services firm recently invested in its people and their workspaces by preparing their offices for the future. 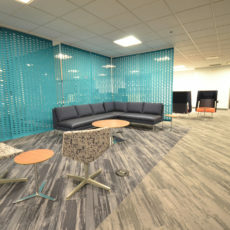 With the help of OfficeWorks and the rest of the project team, the firm transformed a cubicle-based floor in Indianapolis to an environment that addresses transitions in both their business model and their employees’ preferences. 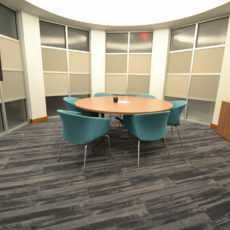 In addition to their overall project goal, the client had firm targets for budget and schedule. The space had to be ready in time for a recruiting event. 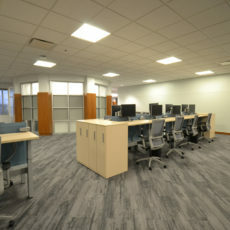 The furniture installation would be the final step of the project process, making OfficeWorks’ role critical to completion. Collaborating with the interior architect, OfficeWorks recommended a solution from Herman Miller that addressed the firm’s requirements. 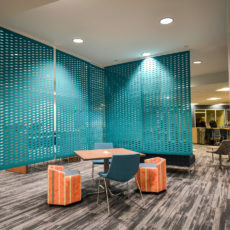 “We focused on providing alternatives and specifications that were realistic for the budget while meeting the firm’s objectives and the interior architect’s vision,” said Dan Morris, principal at OfficeWorks. The client needed to limit expenses but still wanted to achieve a desired look and feel, and OfficeWorks advised them how to achieve both goals. OfficeWorks kept a constant watch on the schedule. They provided weekly updates to move the work forward, coordinating with members of the project team, and tackling challenges immediately. 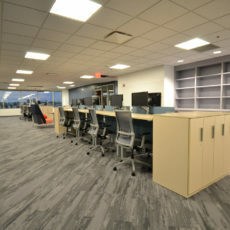 In addition to providing an improved setting for current team members, a flexible, up-to-date office supports the employees of tomorrow. 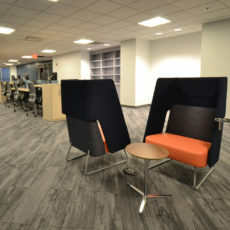 The resulting open, comfortable environment fosters collaboration, yet offers plenty of options for privacy when needed. 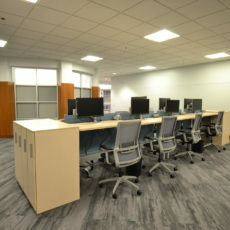 Team members have given the space rave reviews and are delighted with their easily adjustable, sit-to-stand workstations—a feature consistent with the company’s wellness initiative. 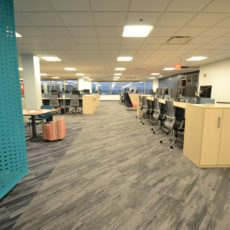 Through the collaborative project process, OfficeWorks met goals of budget and schedule while helping achieve the client’s vision for a streamlined, modern office environment poised for the future.